Before The Boy Who Lived and He Who Must Not Be Named, the world of magic was a wonderfully beautiful yet hauntingly dangerous place, where good and evil still collided – the good fighting to maintain order in both the magical and muggle world as the darkness attempts to consume whatever lies in its path. Introducing the story of Newt Scamander, the famous Hufflepuff Magizoologist who wrote the popular Hogwarts text Fantastic Beasts and Where to Find Them, J.K. Rowling brings us on another exciting adventure full of laughs and wonder. Both witty and mysterious, this awe-inspiring story will have readers wanting more. Will Newt find all his creatures? Will Rowling’s screenplay live up to the classic Harry Potter series? As I reminisced in my book review on Harry Potter and the Cursed Child, Rowling’s Harry Potter series remains to be an all-time favourite for me. The nostalgia of rushing to the bookstore each year, buying the book the first day, and finishing it in one go still makes me giddy with excitement. Unfortunately, Harry Potter and the Cursed Child left me in bitter disappointment, trying to forget the hours wasted on reading a play that I eventually deemed completely and utterly horrific. So when I was told by friends to try Fantastic Beasts and Where to Find Them: The Original Screenplay, you can imagine my hesitation. So the question…was it worth it? I fell in LOVE with this screenplay, certainly glad I decided to listen to my Potterhead friends! 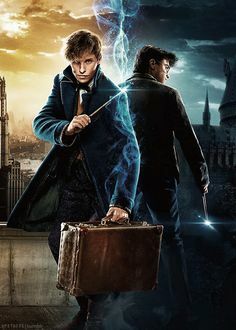 From the beginning of the first page to the end of the very last, Rowling’s novel kept me intrigued, eager to know what shenanigans Newt and his comrades would get themselves into. Similar to my review of Harry Potter and the Cursed Child, please be aware that this review may contain spoilers for those who have not read the original Harry Potter series. I would highly recommend not reading this until afterwards; the spoilers are very minimal or may not even exist, but I always like to take caution for those who are interested in reading books related to ones I review. The story…oh the story! I had such fun following Newt and his friends trying to recover the creatures that he lost at the beginning of the story. These creatures have such interesting abilities and personality traits, some of the ways to capture them just blew my mind – Rowling apparently likes to make her audience laugh incredibly loud. The wittiness and comical scenes alone are a great reason to add this screenplay to your TBR list. The novel is a balance of comedy, action and darkness – a perfect blend of what basically occurred in the Harry Potter series. It gives readers a bit of a break from the dark and tormenting scenes with comical relief, yet doesn’t forget to come back to the serious and important elements that help the story evolve to something very grand. What I found most intriguing was the answers this screenplay held for Potterhead fans, showing hints at what’s to come in the films that will be sequels to this screenplay. I had to refresh a little bit for it’s been a very long time since I’ve read the original Harry Potter series, but this screenplay actually gives really fascinating insights into characters from Rowling’s original magical series. There are characters and events that occur that put into the magical world today into perspective, fulfilling avid Potterhead fans of increasing their knowledge of the world Rowling has created with her novels. The characters are just wonderful! If the story itself doesn’t cause you to finish this book in one night, the characters will definitely do the job. 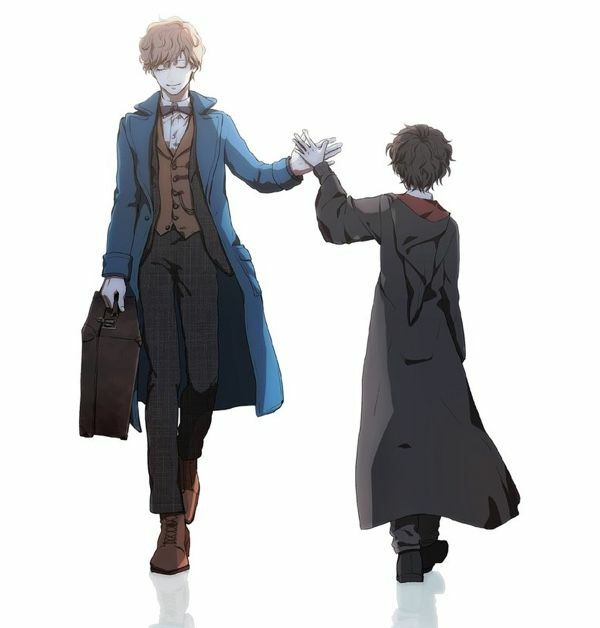 Newt and Jacob are by far my two favourites. Seeing Jacob mesmerized by the beauty of the creatures and the magic Newt, Tina, and Queenie perform reminds me of how I felt when I first read Rowling’s books. It’s a childlike delight that Jacob brings to the story, seeing things completely beyond our imagination. Newt’s a rather eccentric and comical character, showing a beauty for all things in life. Though he’s a rather odd fellow, he’s extremely wise and morally conscious of what’s right and wrong. Even the villains are marvelous, showing a very disturbing and unrelenting darkness similar to He Who Must Not Be Named. If you thought Rowling wouldn’t be able to bring to life characters just as dynamic as those in the Harry Potter series, think again my friends. What I love even more is that so many of these characters are mentioned in the Harry Potter series, giving us even more insight into their origins and a better idea of how they connect to the Harry Potter books. Newt Scamander, Gellert Grindelwald, and the Lestrange family are examples of this. This is not limited to characters alone – other concepts and devices brought about in the classic series are present, such as the Pensieve and the Ilvermorny School of Witchcraft and Wizardry. Rowling also hints to some important elements that will explain the events that occur around other important characters, such as the introduction to the obscurus and an obscurial. With the film franchise apparently leading up all the way to the events right before Harry Potter and the Philosopher’s Stone, Potterhead fans are going to want to keep a close eye on this series. Fantastic Beasts and Where to Find Them: The Original Screenplay is a phenomenal story. I laughed, I cried, I got angry, then typically laughed again. The problem is that it’s a screenplay, so you only receive so much information from the novel regarding characters and the events happening in the world. I wanted to know so much more about the characters – their thoughts, their pasts, their experiences – but this book is a screenplay. At the end of the day, there isn’t much room for such things. I would have preferred that J.K. Rowling wrote a novel, a series as she did for Harry Potter. I am extremely grateful for the screenplay, but I wanted more! I highly recommend any Harry Potter fan to read this screenplay – the nostalgia of the magical world and wanting your letter to Hogwarts will definitely creep back. You can simply watch the film if you’d like, for it’s literally reading it rather than watching it. I, however, am a booknerd who needs to read any book before watching the film, even a screenplay. It was nice to have my own imagination play out how creatures looked and how the story went rather than have a film show me. It’s one of the major reasons I thoroughly enjoy reading literature in the first place. So take a gander and try the screenplay out, since I don’t think you’ll regret it; I certainly didn’t. 52 Weeks of Gratitude [Week Nine]: How Did You Do & Feel?